The most expensive dishes ever – Just For Sybarites! Yes the world is going crazy and so are chefs and consumers who wouldn’t care spending a few thousands on a single dish. Here we have listed some of the most expensive creations that DO NOT INCLUDE JEWELS. 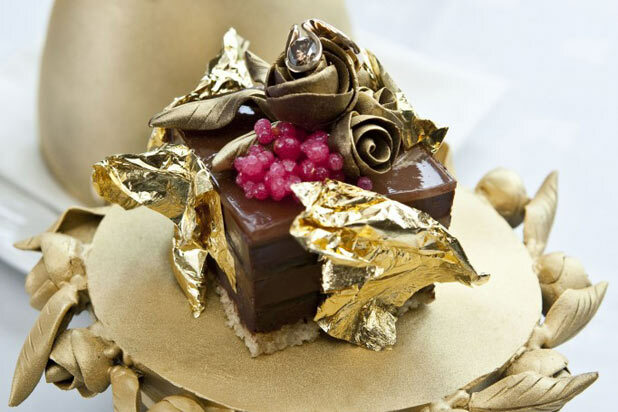 Many restaurants have a $30k dessert but it comes with a gigantic precious stone that makes it more down to earth. This is why I chose the real, all edible, insanely expensive dishes. 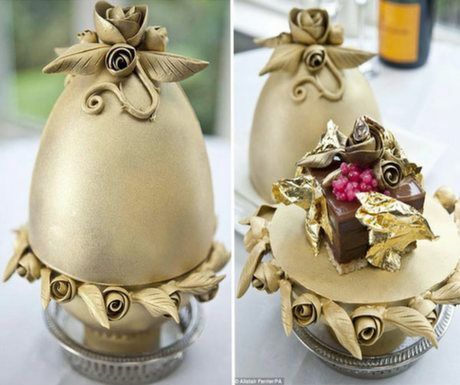 Chef Marc Guibert of Lindeth Howe Country House Hotel in England’s Lake District went crazy on edible gold while recreating a replica of a Fabergé egg (an egg full of jewels created in Russia for the Tsars to give away for female family members). Born in Durango (so is my Dad) chef Juan Licerio Alcala truly went over the top! 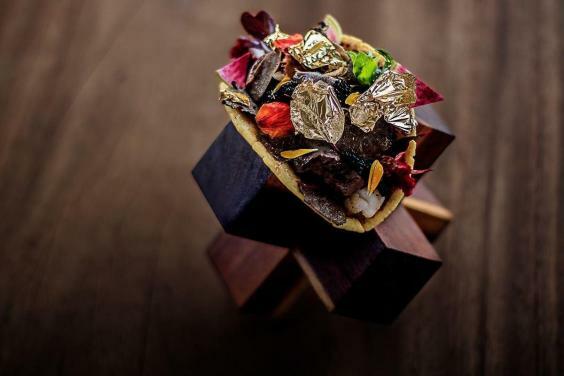 The king of tacos has Kobe beef, black truffle brie cheese, Almas Beluga caviar, langoustine, truffle slices and (of course) edible gold. 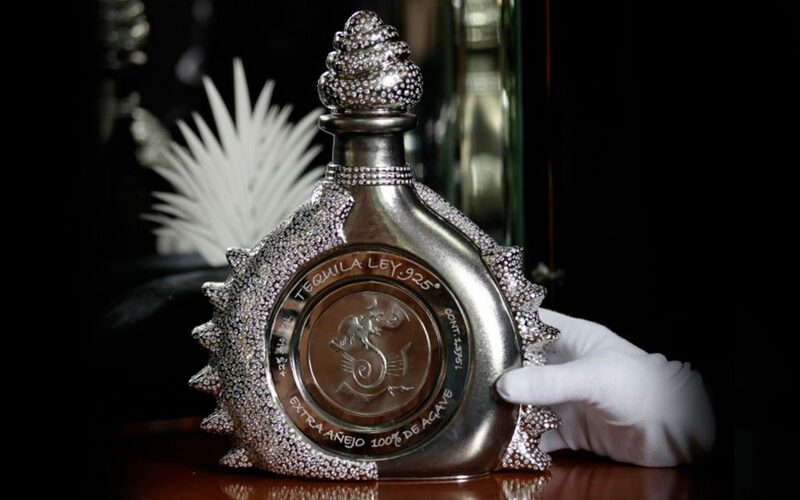 This time the crazy expensive taco does not come alone, it is embraced by a particular sauce made with tequila Ley 925, whose “sister” Ley Diamante holds the Guiness Record for the world’s most expensive tequila bottle. 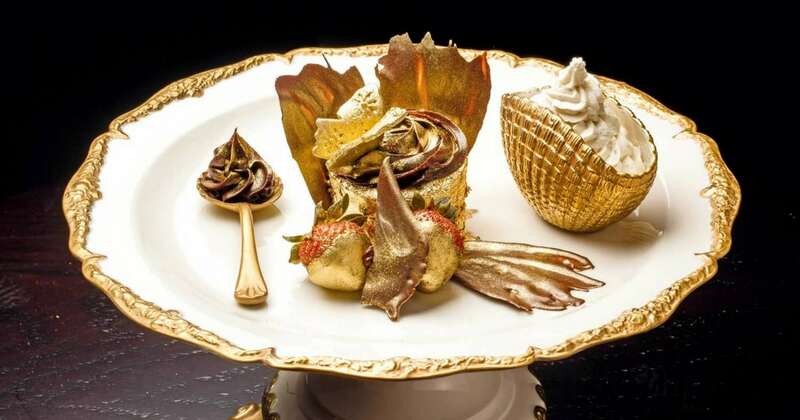 Organic strawberries dipped in 23-carat edible gold. Sponge cupcake with vanilla from Uganda, Doves organic flour and Rachel’s organic butter (both from England) and the finest Italian crafted chocolate (Premium Amedei Porcelana cocoa), also dusted in gold are some of the elements to be found in this dessert which must be ordered 48hrs prior to reservation time. 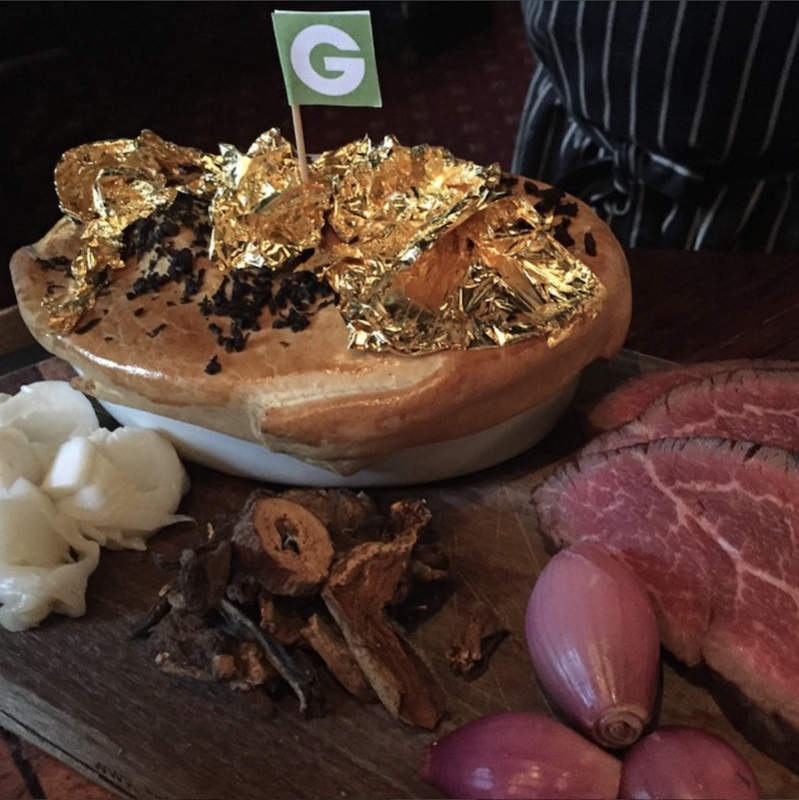 Chef Paul Medcalf came up with this outrageous pie to be sold through a $12,000 groupon. Filled with two whole premium lobsters and top notch Australian beef cooked in two bottles of Penfolds Grand Reserve. A burger that is worth this much? Yes dears.. this is what foie gras, waygu, truffles and Bordeaux bottle of wine can do. BUT WAIT! THERE’S A CATCH! 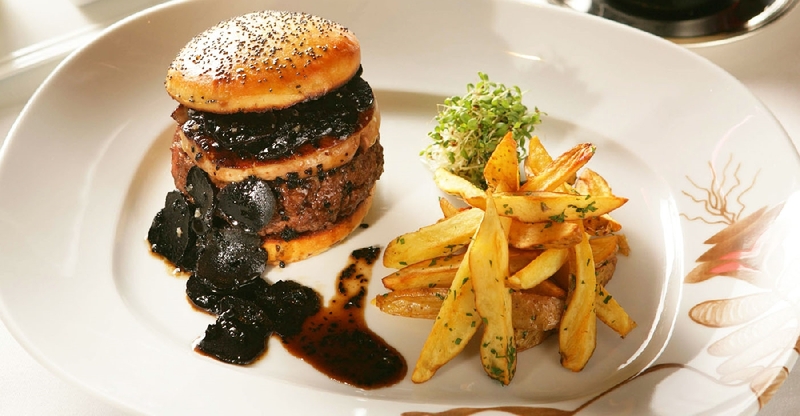 This burger is served with a 1995 bottle of Chateau Pétrus. VOILA! Iranian saffron, gold leaves, prime Devon crab, lobster, turbot, white truffle, Beluga caviar, abalones and many spices that make the magic happen.. This millionaire’s curry was invented by chef Prahlad Hedge to celebrate the success of the movie “Slumdog Millionaire”. 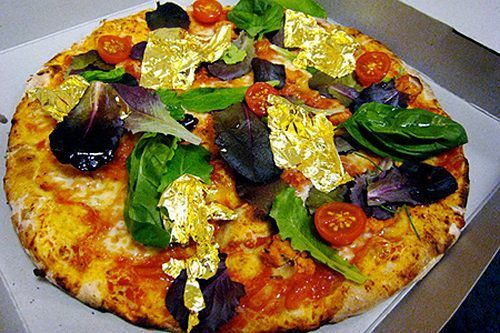 Once again loads of 24-carat edible gold and white truffle are the king and queen to this not so big, thin crusted pizza. Order 24 hours in advance and of course payment up front! I will be completely honest with you, I would rather use such amounts of money to travel! But once again, if you are a multi billionaire and feel a bit bored about the conventional then you might as well go for it.